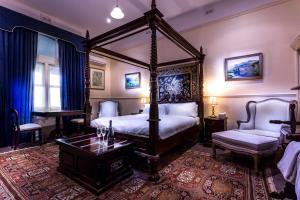 جناح Endeavour مع حمام مشترك.
. إن الخدمات الممتازة وحسن الضيافة العالي في Santa Maria Executive Bed & Breakfast Fremantle تجعل إقامتك تجربة لا تنسى. يقدم العقار واي فاي مجاني في جميع الغرف, تسجيل وصول/خروج سريع, واي فاي في المناطق العامة, صف السيارات, خزنة فولاذية لضمان الراحة القصوى لضيوفه. استمتع بوسائل الراحة الراقية في الغرف أثناء إقامتك هنا. بعض الغرف تتضمن تلفزيون بشاشة مسطحة, اتصال لاسلكي بالإنترنت, اتصال لاسلكي بشبكة الإنترنت (مجاني), حوض الاسترخاء, غرف لغير المدخنين لمساعدتك على استعادة طاقتك بعد يوم طويل. سواء كنت من محبي الرياضة أو كنت تتطلع لتفريغ عناء نهار صعب، ستجد خدمات ذات مستوى عالي بانتظارك كمثل مسار جولف - ضمن 3 كم, حديقة. اكتشف مزيجاً ساحراً من الخدمة الاحترافية والخيارات الواسعة من وسائل الراحة والمتعة في Santa Maria Executive Bed & Breakfast Fremantle. يُرجى العلم أنه بسبب محدودية الوقت المتاح لتسجيل الوصول، يتعين على النزلاء التفضل بالإشارة إلى مواعيد وصولهم التقديرية عند الحجز حتى يتمكن العاملون بالفندق من اتخاذ الترتيبات اللازمة للتعامل مع حالات الوصول المبكر/المتأخر بناءً على هذه المواعيد. العمر الأدنى المطلوب للتمكن من الإقامة في هذا العقار هو 25 سنة/سنوات. A standard never seen before. makes for a very comfortable stay away from home. couldn't be happier! As soon as I book, I receive email from the onwer Allan, we had a friendly communication already before we arrived. 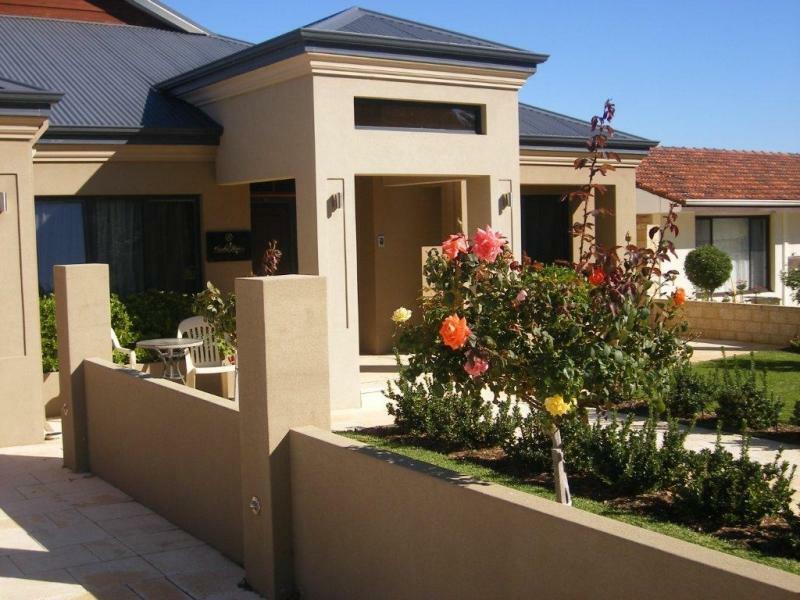 We are looking for a home feeling accommodation coz I used to live in Perth and want that feeling back, and this B&B gave me much more than I expect, it is awesome. There is a giant green park right in front of the house, under such quiet and beautiful street, the front and back garden of the house are designed in lovely style and all the lights are computer controlled so even late for home still feeling warm. The inside is decorated by good quality materials and wide spaces make you feel relax. There are everything you need (beside tooth cleaning kick) in the room, electronic door lock for every door and metal shield for window provide safety feeling. 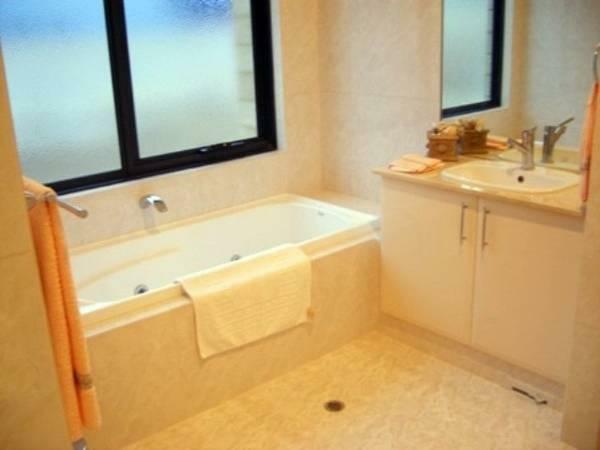 Although sharing bathroom (we are lucky as no one was next door for that time), still same luxury feeling as the room dose. Little freight got lots of snacks and Allan kindly gave a gift for our marriage, Allan also provide fantastic breakfast, lots of food to taste. If you looking for a Australia life experience, this is the best choice in Perth. Thank you Allan, we miss you and thank you! 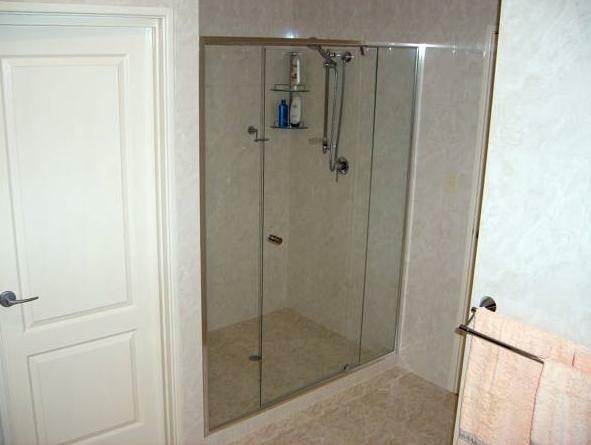 Excellent Pleasant interior, ease of access and courteous ctaff. 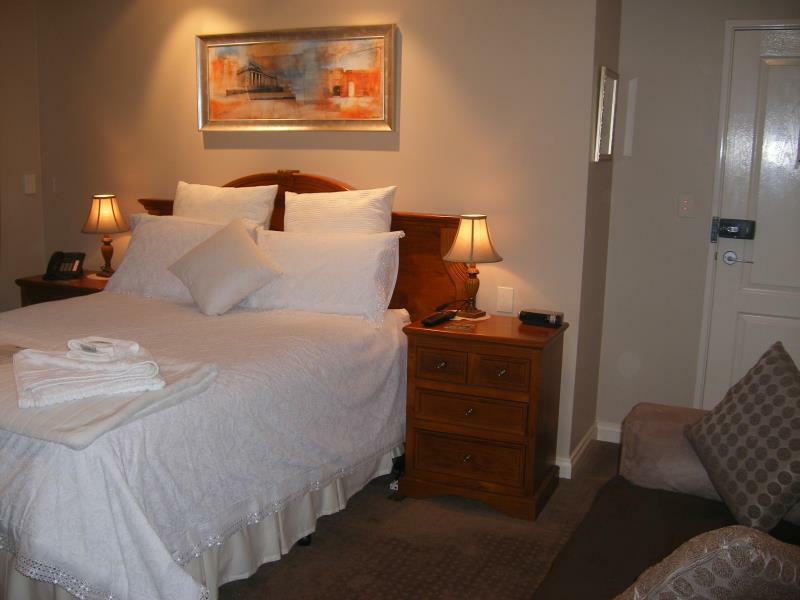 The house and rooms are decorated to a high standard, the rooms are clean and the bathrooms beautiful. Clearly a lot of thought has gone into developing the property. although the accommdation was good the breakfast was make your own continental breakfast and clear your own dishes away afterwards basis. the owner, allan, clearly loves his home but it does feel like living in his home and he was quite inflexible. my son and his girlfriend asked to use the shower in my bedroom the day they booked out and allen refused stating 'rules are rule'. The owner of the house is a very kind guy. Room is very nice, clean and tidy. However, my friend's room (Leeuwin suite) need to share the toilet with another room guest, it should be improve in the future. Wonderful room, Safe and quiet location. owner is a very kind guy gives us good service.only remark you should know is there are nobody to serve guest in the daytime. It was very convenient for our trip - good relaxing couple of nights after a long drive around WA. I would like to thanks for the host Allan, his kindly care & consideration let us have a wonderful holiday. Especially is our family special date for my son graduation from university . The house is warm, secure, clean, convenience. Breakfast is good, Internet is fully accessible. Beside could met some other guest explore ourselves. A very enjoyable stay where we were treated like royalty. A warm, homely establishment with comfortable rooms, close proximity to the city (yet away from the hustle and bustle), very relaxing and hospitable, with complementary breaky & the morning paper.